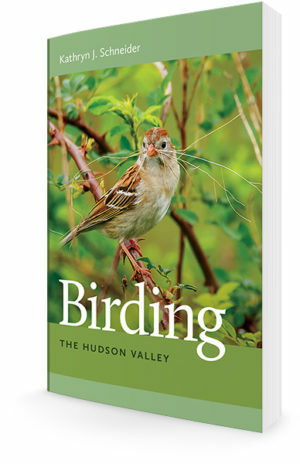 Kathryn J. Schneider brings her book “Birding the Hudson Valley” to the Chatham Bookstore on Saturday, December 8. The author signs books at 4 p.m. as part of Chatham Winterfest. At 5 p.m., a conversation with Thomas Chulak from the bookstore and Q & A follow a presentation by the author. A portion of the proceeds from book sales will be donated to the Columbia Land Conservancy. Currently, Schneider is a Master Gardener for Cornell Cooperative Extension and an active volunteer for the Columbia County Land Conservancy. As a consultant, she has conducted bird surveys for the US Fish and Wildlife Service. She lives in Stuyvesant Falls. The Chatham Bookstore, located at 27 Main Street in Chatham, NY, features a large selection of books for adults and children, as well as an array of art supplies.